I'm a huge fan of wall decals. I absolutely love how easy they can transform a space from drab to fab! I have an extra room that for the past two years I've been wanting to turn into a home office. I want to paint it in a pretty shade of teal, add a white desk, a book case and use pink as a pop of color. 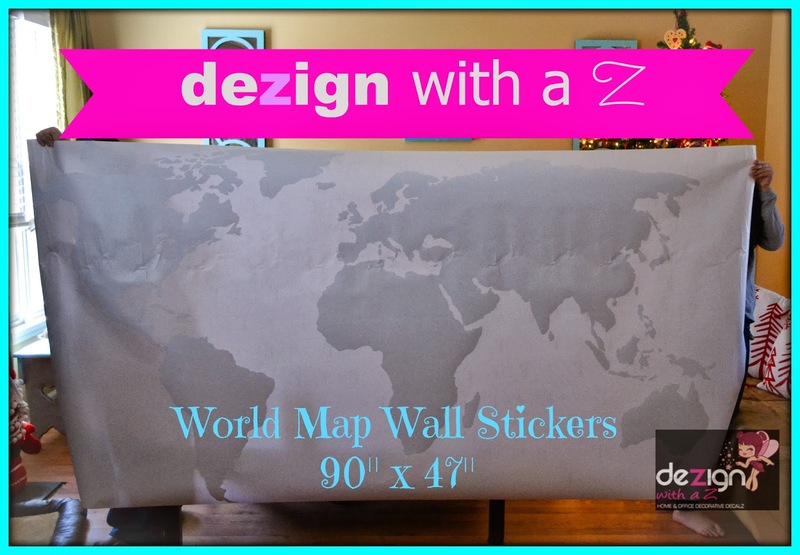 Our friends at dezign with a Z sent us a HUGE World Map wall to wall decal that I want to use for my feature wall. I haven't been able to paint the room but I wanted to show you how HUGE this thing is. It's 90” x 47 and as you can see it will cover the entire wall. I ordered in white since the wall is going to be teal but if you prefer to have it in a different color there are 24 color options to choose from and this particular design also comes in a black chalkboard. How fun! DezignWithaZ.com offers a wide array of products, ranging from full wall mural decals that dramatically alter an entire room to more subtle decals that add a touch of ambiance. The company boasts the largest selection of decorative wall stickers and murals online, with an extensive range of abstract designs, characters, clocks, floral patterns, funny and whimsical options, glow-in-the-dark decals, mirrors, music themes, nature-inspired art, sport themes, trees and much more. Their product selection includes wall decals for kids, teens and adults, with looks from classic to contemporary and everything in between. They even offer digital canvases, chalkboards and whiteboards that can peel right off – much easier than installing a permanent fixture. 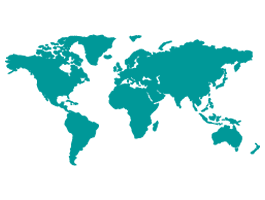 Many of their products are completely one-of-a-kind, created by some of the most talented, young designers here and abroad. And if you really want to be sure your decal won’t be found anywhere else, they offer the option to customize your order with quotes, lettering, photos and more. 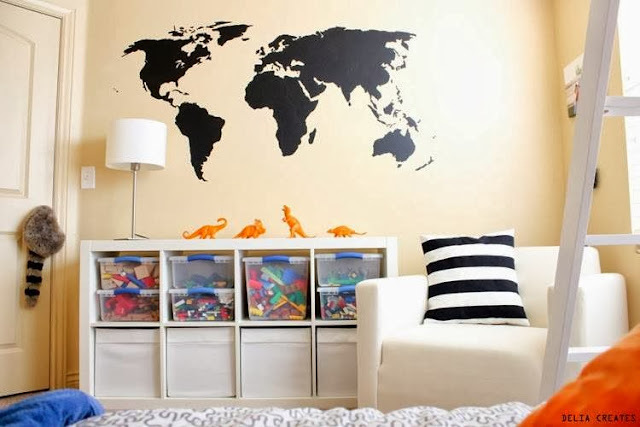 Whether you are looking for wall mural decals to fill a space from floor to ceiling, or just a couple of smaller pieces to touch up one or more rooms, they have you covered. Take a look at the rest of the amazing decals at Dezign With a Z by connecting with them on Facebook, Twitter, Pinterest, or Instagram.